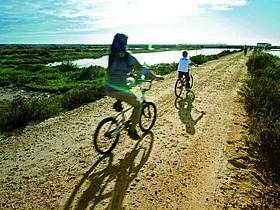 Chiclana and the Province of Cádiz offer a great variety of cycling routes. Apart from the sport the impressive landscape invites also to relax. Many hotels offer therefore the possibility to rent bicycles individually or book a packet of various international cycling tour-operadors. Different degrees of difficulty make cycling an unforgettable adventure to any level of cyclist. 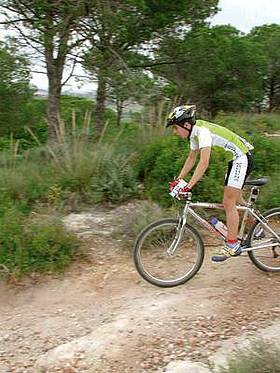 Cycling in the Province of Cádiz - an incomparable holiday. Daily, weekly and seasonal cycle hire. Repairs and sales. Home delivery and collection service. Home delivery and collection service. Cycling training camp in April, October and November. 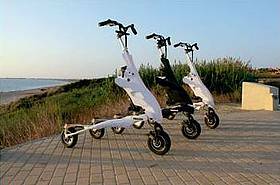 Discover Chiclana's outstanding coastal landscape and experience an unforgettable ride on an "electric trikke". Guided tours : Salina de Carboneros, La Barrosa beach and Sancti Petri village , Novo Sancti Petri and Torre del Puerco.